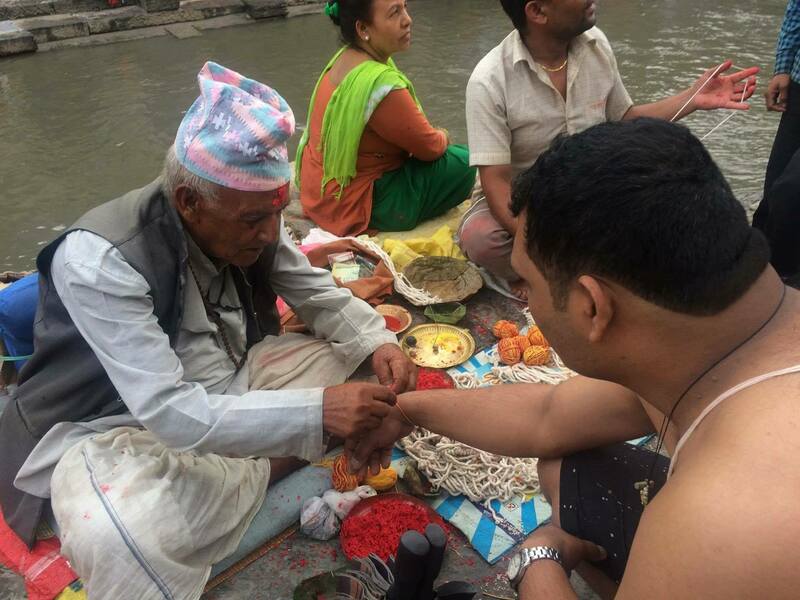 Janai Purnima is one of the religious and cultural festivals of Hindus celebrated on the Purnima (full moon day) of Shrawan ( 4th month of Nepalese official calendar. So, this day is also known as Shrawan Sukla Purnima. This day marks a Hindu starts learning letters so that he/she can read Vedas which is known as Vedarabhbha Karma (वेदारम्भ कर्म: starting Veda) or ‘Aadhyopaa Karma Vedopa Karma’ (अध्यायोपा-कर्म वेदोपाकर्म : do ‘fit or proper to be instructed’ to ‘impart knowledge’ or ‘act that causes to know it’) or Aadhyopaa Karma (वेदोपाकर्म: do study). Why on Janai Purnima a child is taught Vedas or how to read letters? It is because on full moon day of Shrawan Sukla Purnima Maharishi Yājñavalkya received Veda from the Aditya Brahma (Sun). This is also the reason why this day is celebrated as Veda Jayanti Diwas (or Veda Day). किन नवरात्रिको दशौ दिन लाई विजयादशमी भनिन्छ? Why Hindus celebrates Krishna Janmashtami?